Sir Alex Ferguson believes Liverpool will win the Premier League title and that Manchester United will give them a huge helping hand. Unfortunately the story has not come first-hand from Sir Alex, nor second-hand, but third-hand in a Chinese-whispers style. According to the former Stoke striker Jonathan Walters, via former United defender Phil Bardsley, Sir Alex has told him how things will pan out. Both players were at Burnley, although 35-year-old Walters joined Ipswich on loan in August before injuring an Achilles which last month forced him to retire. The pair are obviously friends and Walters has claimed that Ferguson told Bardsley that United will take points off City at Old Trafford and that will be enough for Liverpool to win their first title in 29 years. “I was chatting with Phil Bardsley and I’m gonna drop a name here, he was sat with Sir Alex Ferguson,” Walters told BBC Radio 5 Live’s Football Daily podcast. Liverpool currently lead the way with two points, but City have a game in hand away at Burnley at the end of the month after both teams won on Sunday. Man City won a tricky-looking away game at Crystal Palace while later on Sunday Liverpool put Chelsea to the sword at Anfield to put the Reds back on top. 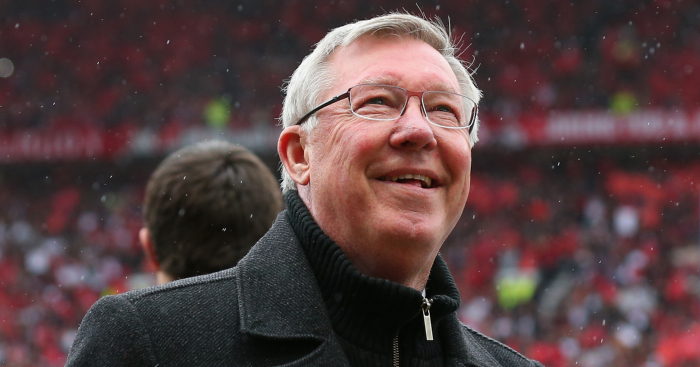 City do have a better goal difference than Liverpool, but Sir Alex believes the Reds will prevail.